Grupo X were formed in London in 1997 by trombonist and composer Jonny Enright. Their style is defined as Latin Soul Jazz developed in the sizzling brew at London’s Jazz Cafe. X-Posure (2001), Food For Your Latin Soul (2006), Grupo X Remixed (2008) and As Hills Go By (2011) are their first releases. Current members of the group are Lisa Millett (vocals), Jonny Enright (trombone), Finn Peters (sax/flute), Sean Corby (trumpet/flugelhorn), Simon Edwards (bass), Al MacSween (piano), Olly Drew (guitar), Jim Le Messurier (drums/timbales), Pete Eckford (congas), Dave Pattman (bongos/percussion). 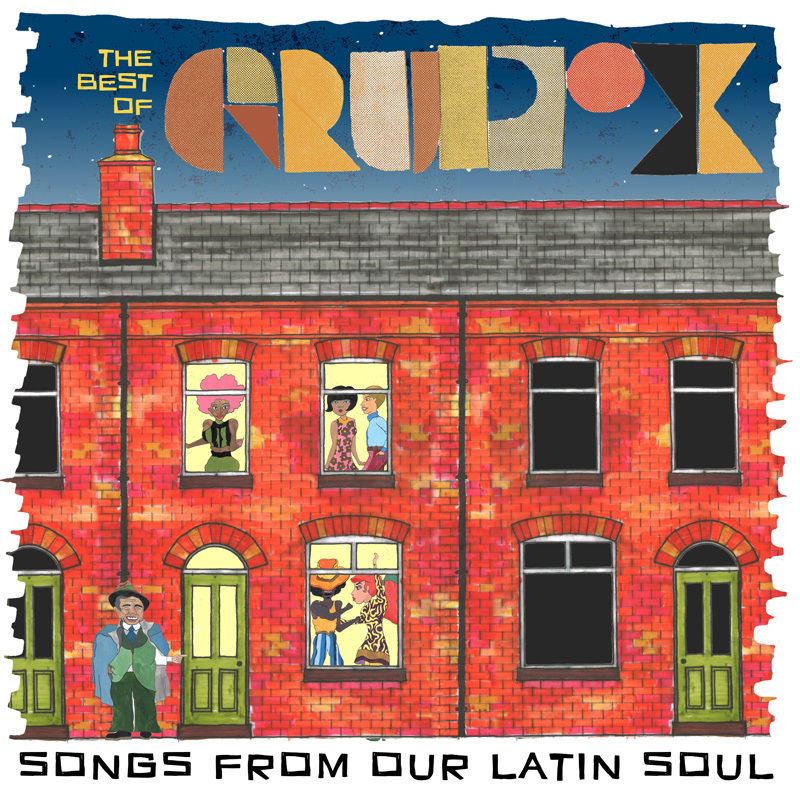 Their new album Songs from Our Latin Soul: The Best of Grupo X is a collection of their writing and recording from the start to present day. The album kicks off with Brand New Love, a song released in 2001 on the debut album X-Posure. Combine the best of Incognito and Brand New Heavies and you get the direction this album is going. In earlier time this sound was called acid jazz but with a Latin percussion approach in the style of Snowboy. With three members in the percussion corner the group has a dominant rhythm part, the horn section is also distinctive with excellent solo players.